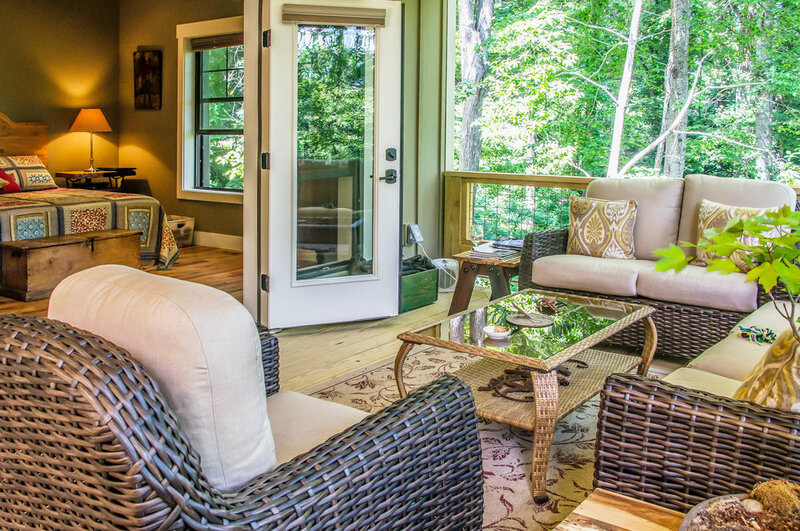 Tucked in the woods, on the side of Town Mountain, this special home feels like vacation all year long! A side view of this traditional home gives you a glimpse of the beautiful mountaintop view awaiting you on the back side of the home. Talk about Outdoor Living Space! The outside offers amazing mountain views from the multi-tiered decks, and that is pretty much something for everyone! Cabinets, countertops, tile, wood flooring and kitchen and bath design by The HomeSource Design Center. The wood accents on the interior, paired with the warm finishes on the cabinetry and countertops and wood tongue and groove ceilings, make this cozy home all the more inviting on the inside. You can see the wood tongue and groove ceilings from this angle of the living room! From this angle you get a close up view of the tile back splash and the warmth finishes of the cabinetry and countertops. Tucked in the woods, on the side of Town Mountain, this special home feels like vacation all year long! Features include wonderful clerestory windows, bringing in light while allowing streetside privacy. 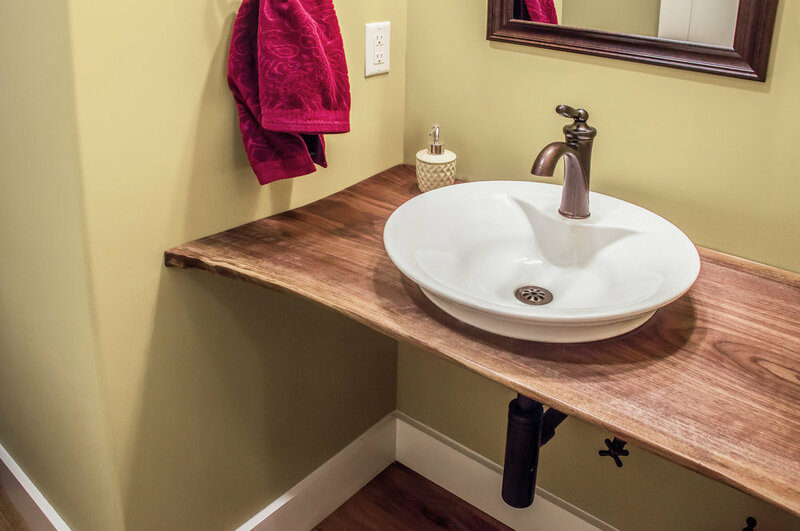 More wood accents can be found in the master bathroom of this Town Mountain home. 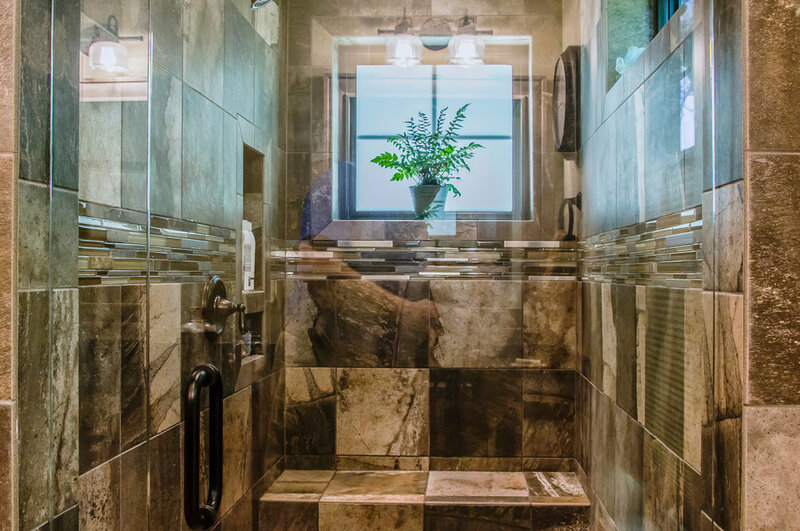 With a master shower like this one, it's no wonder the homeowners feel like they are on vacation all year long! With the french doors open, these homeowners enjoy a spectular view all year long! This beautiful outdoor living space was designed to be a natural extension of the master bedroom. One can imagine many meals and gatherings occurring in this spacious back deck. A close up view of the wood hardwood floors shows the richness and warmth that the many wood accents provide to this Town Mountain home. 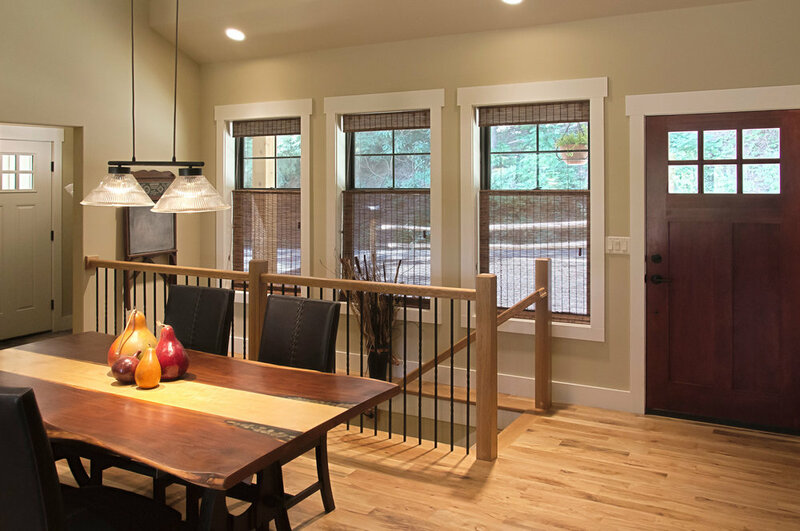 This homeowner made sure to include a fully functional woodshop in their house plans!